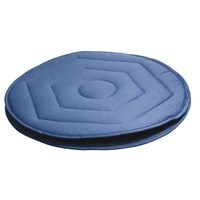 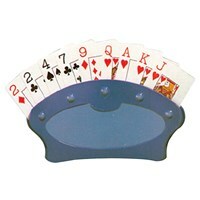 A very useful cardholder for people with limited hand mobility/dexterity, arthritis, weakness, pain or poor coordination. 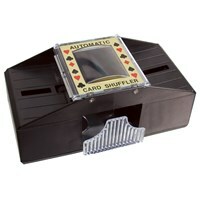 Keeps playing cards vertical for hands-free play and viewing. 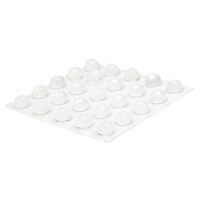 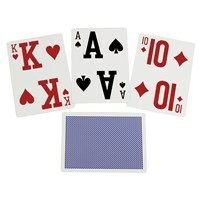 The two plastic tiers hold up to 8 standard sized cards without overlapping. 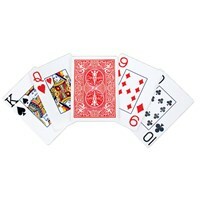 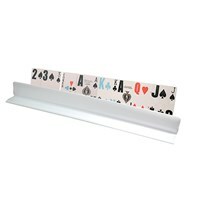 Slots are flexible and can hold several thicknesses of cards so that they can be overlapped. 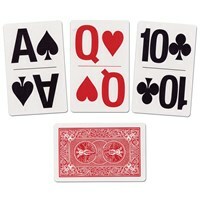 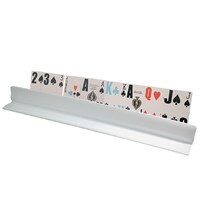 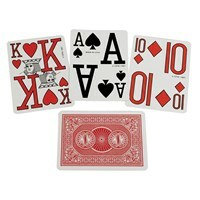 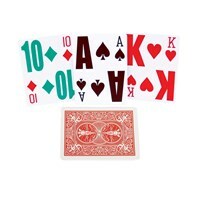 Also serves to hold other types of cards such as flash cards, recipe cards, index cards and more. 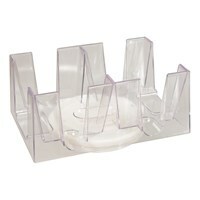 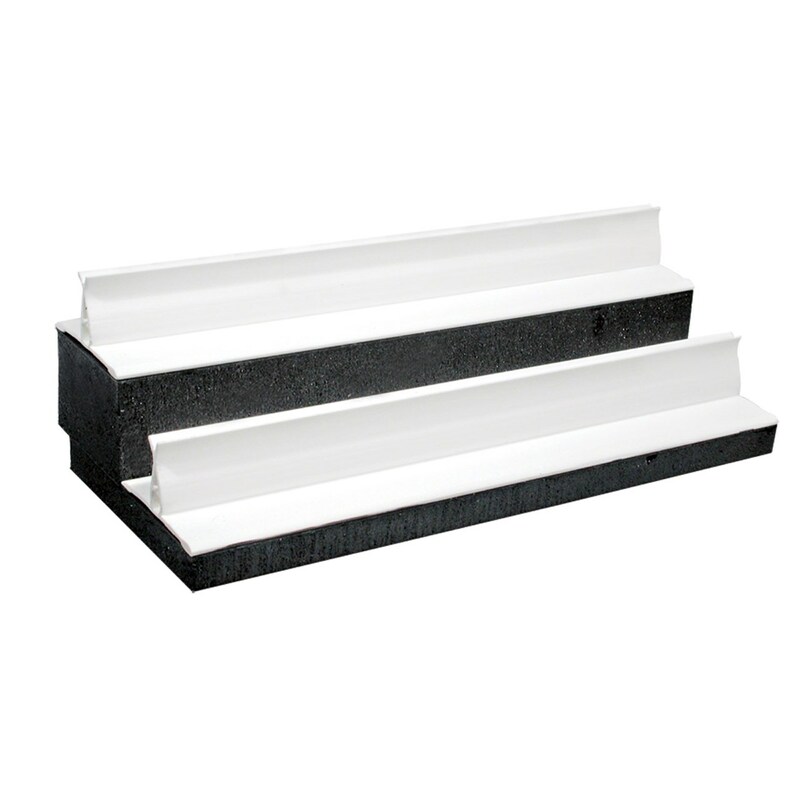 Cardholder measures 10" long x 4-1/2" wide x 3-1/8" high with a lightweight styrofoam base that has a rigid and sturdy backing for long-lasting use.